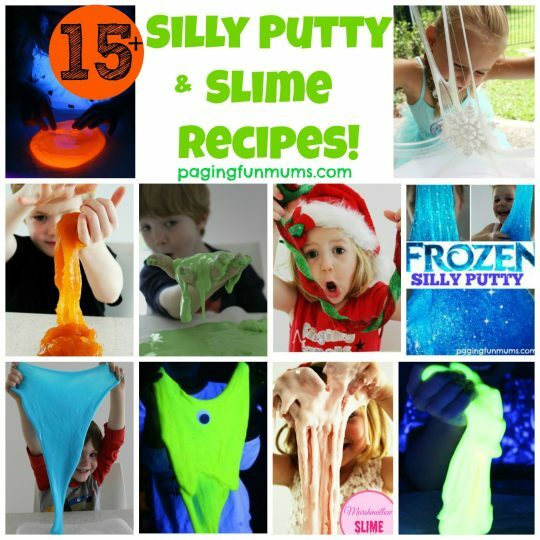 Here are our top 15+ Silly Putty & Slime Recipes! We adore Slime & Silly Putty at our houses! It’s a great sensory play idea & the kids get hours of fun play that won’t take you long to make! 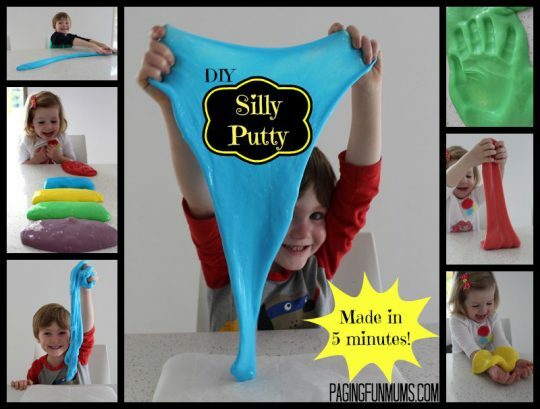 We’ve rounded up our best Silly Putty & Slime Recipes in this post to use as your one shop stop! 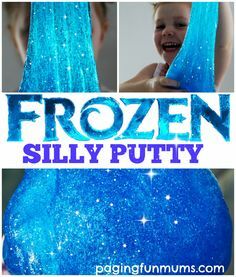 The Frozen Silly Putty seems to be our most popular – completly understandable considering the Frozen phenomenon sweeping the nation right now! Check that out how to make your own here. Yes you can make Silly Putty that Glows! 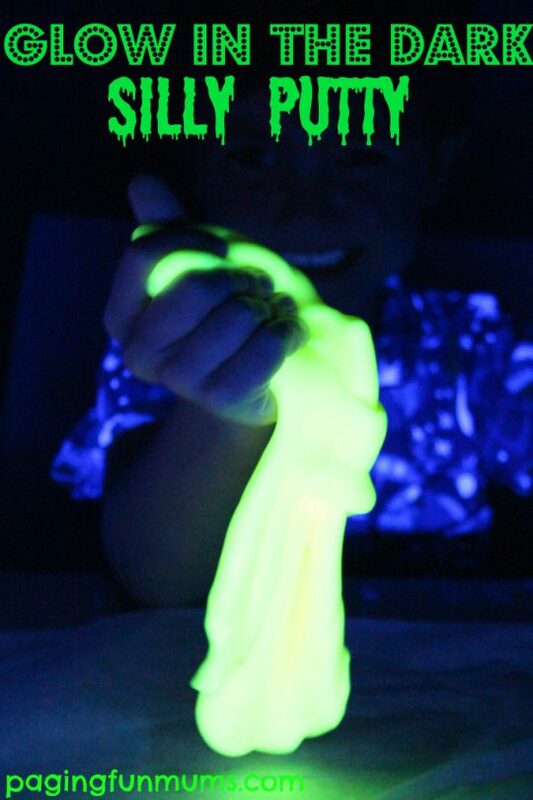 Check out our Glow in the Dark Silly Putty Recipe here! Two Ingredient Slime, that’s right only TWO easy ingredients! Find out what they are here. This DIY Silly Putty can be made any colour of the rainbow & it stores for ages! Check out the recipe here. 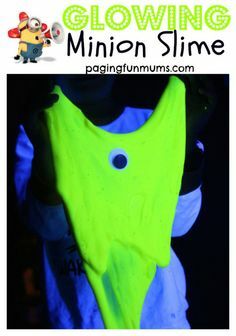 These Glow in the Dark Slime Monsters are such a cool way to get creative with sensory play! Head here! 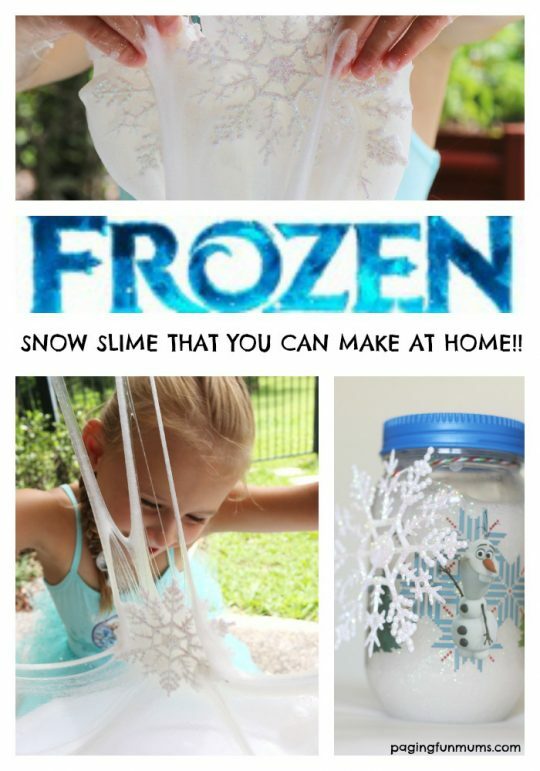 This is our Frozen Inspired Snow Slime. Elsa fans are loving this! Check out the recipe here. We’ve turned something a little gross into something very pretty! Check our our Pretty Pearl Slime here! Our Jelly Silly Putty smells as good as it looks! Head here for the recipe! Our Glowing Minion Slime is awesome for a glow in the dark party! Check out how to make it here. Learn how to make your own super slimey Goo at home here! A delicious smelling slime that is a world of super sensory fun! Head here for all the delicious details. Here’s the ultimate Halloween activity! Head here to learn how to make your own! 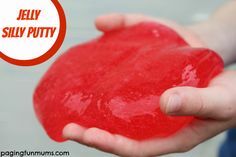 This Christmas Silly Putty can be made any time of year but is especially good for the Festive Season! 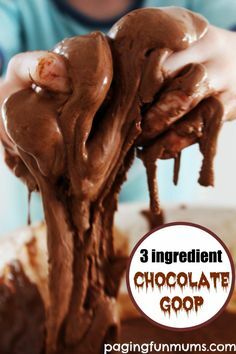 This 3 ingredient Chocolate Goop smells as good as it looks AND it’s edible! Head here for this awesome recipe! 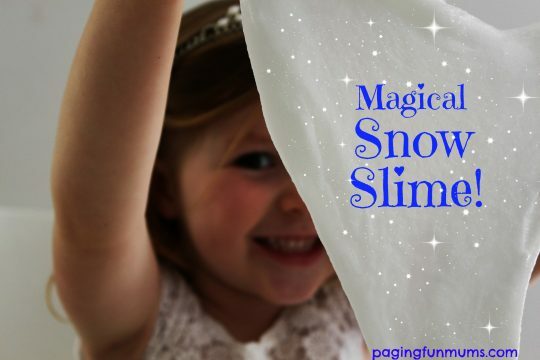 This Magical Snow Slime is so pretty that the kids won’t want to put it down! Head here to check it out. Oooh super scary Monster Slime is always a winner! Get the gruesome recipe here! 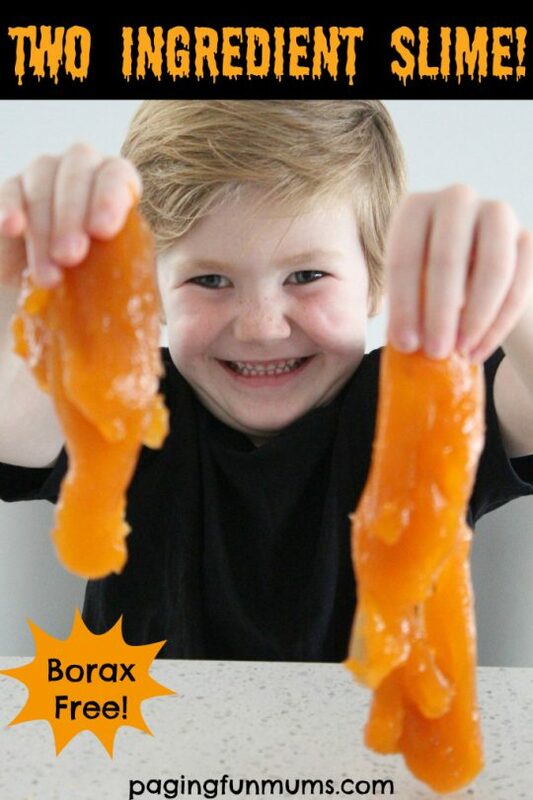 Let us know below which Silly Putty and/or Slime recipe is your favourite! Do you have any ideas on new recipes we could make for you? We have some fun videos you might like to check out whilst you’re here too! You can view them here.